Feeling lost in new city? Check this map with all sights, faculties and much more. Send your baggage home by courier! With special discount code: ESNSK. With new year also new section board and coordinators came! Let us introduce us them all in this infographic :) And what is even more, we have amazing new logo! ESN Comenius University is the biggest section in Slovakia which takes care of more than 600 Erasmus students annually. We oraganise various activities, trips, events for exchanges students and also promote mobility for home students. 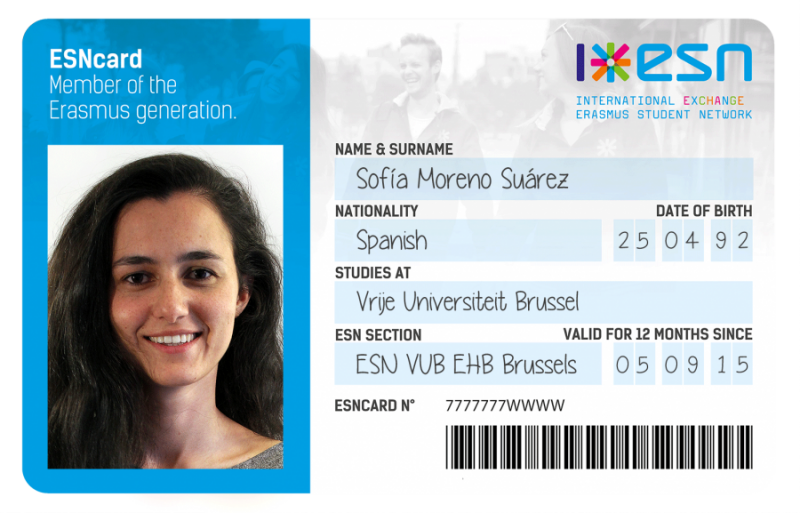 Erasmus Student Network (ESN) is the biggest student association in Europe. Born in 1989. It is present in more than 1,000 Higher Education Institutions from 40 countries. The network is constantly developing and expanding. It has around 15,000 active members. Read more here. JOIN ESN NOW - CLICK HERE! With ESNcard you get access to discounts in 40 countries across Europe.